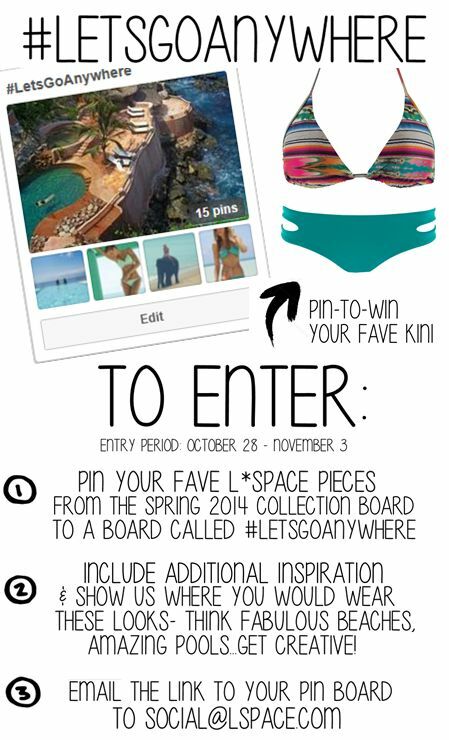 Want to win an awesome bikini from L*Space Swimwear? Pop a few pins up and create your own #letsgoanywhere board on Pinterest featuring your favorite kini’s and places to wear them for a chance to win a sweet new bikini for next summer (or this winter’s!) adventures.